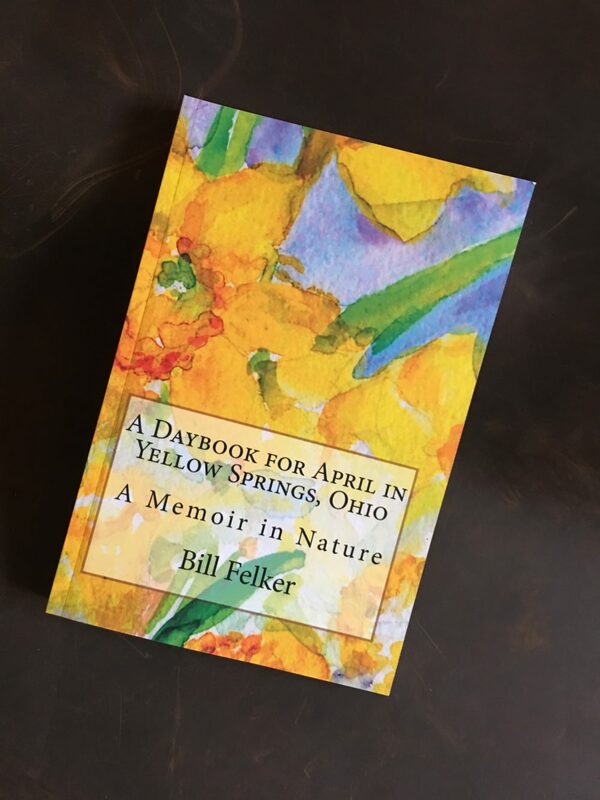 A Memoir in Nature and a Handbook for the Month of April, Being a Personal Narrative and Synthesis of Common Events in Nature between 1981 and 2017 in Southwestern Ohio, with a Variety of Natural Calendars, Reflections by the Author and Seasonal Quotations from Ancient and Modern Writers. This fourth volume of A DAYBOOK FOR THE YEAR IN YELLOW SPRINGS, OHIO, is memoir, extended meditation and guidebook to the month of April in southwestern Ohio – as well as in the Middle Atlantic region and much of the East and Southeast. 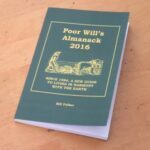 The passages from ancient and modern writers ( which accompany each day’s notations are lessons from my readings, as well as from distant seminary and university training, here put to work in service of the reconstruction of my sense of time and space. They are a collection of reminders, hopes and promises for me that I find implicit in the seasons. They have also become a kind of a cosmological scrapbook for me, as well as the philosophical underpinning of this narrative. Average temperatures in Yellow Springs are also part of each day’s entry. Since the rise and fall of temperatures in other parts of the North America keep pace with the temperatures in Yellow Springs, the highs and lows, like solar statistics, are helpful indicators of the steady progress of the year everywhere. 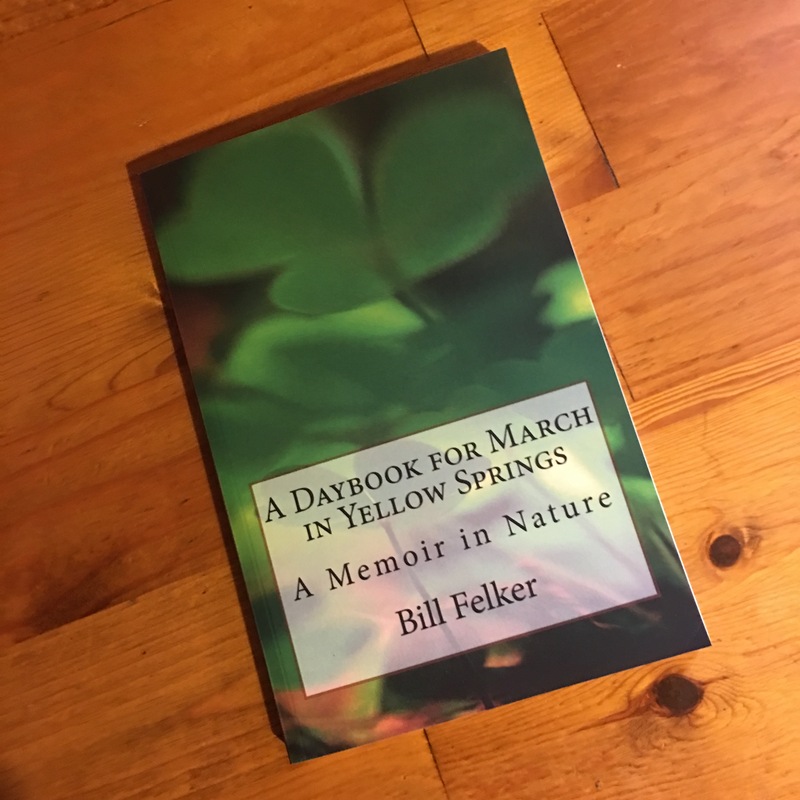 The DAYBOOK journal itself consists of my notes on what I saw happening around me in Yellow Springs between 1979 and 2017. 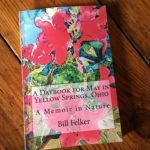 It is a collection of observations made in my yard, from the window of my car and from my walks in Glen Helen, in other parks and wildlife areas within a few miles of my home, and on occasional trips.